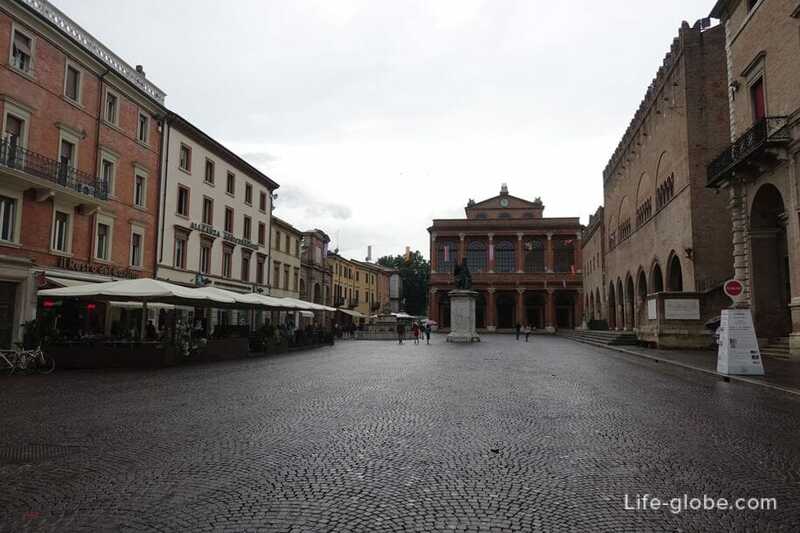 The history area of Cavour takes us back in time to the middle ages, then it played an important role and was the center of city life. 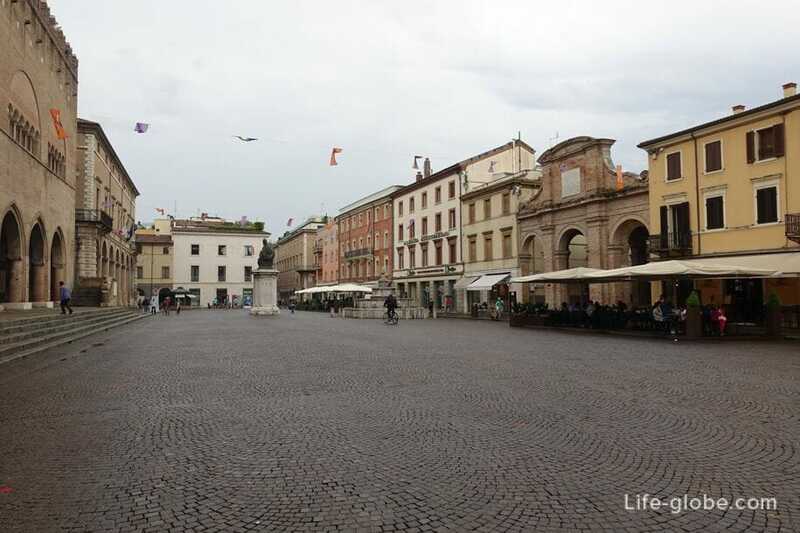 During its long history the square has changed several names, so, earlier it was called the Municipal square (Piazza del Comunale) or a fountain. Its present name, the area was in 1862. 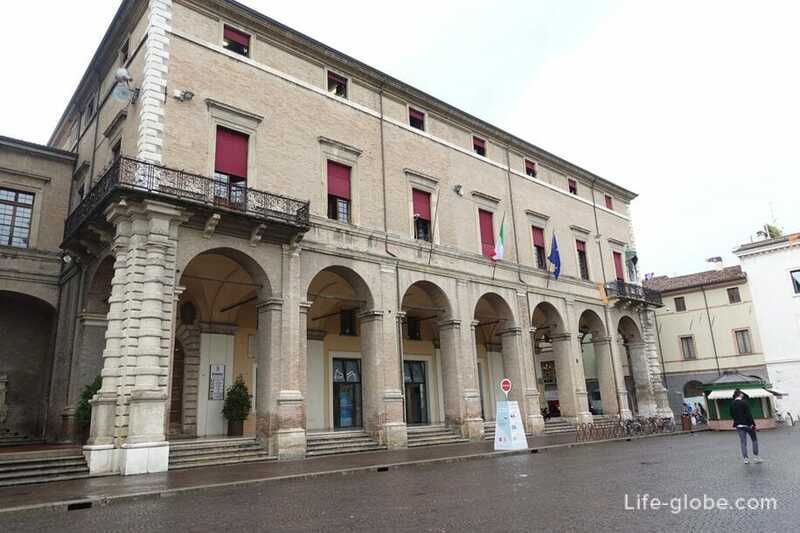 Currently, the Piazza Cavour is one of the main historical squares of Rimini, could not be better reflects the history of the city and absorbed the spirit of past centuries. 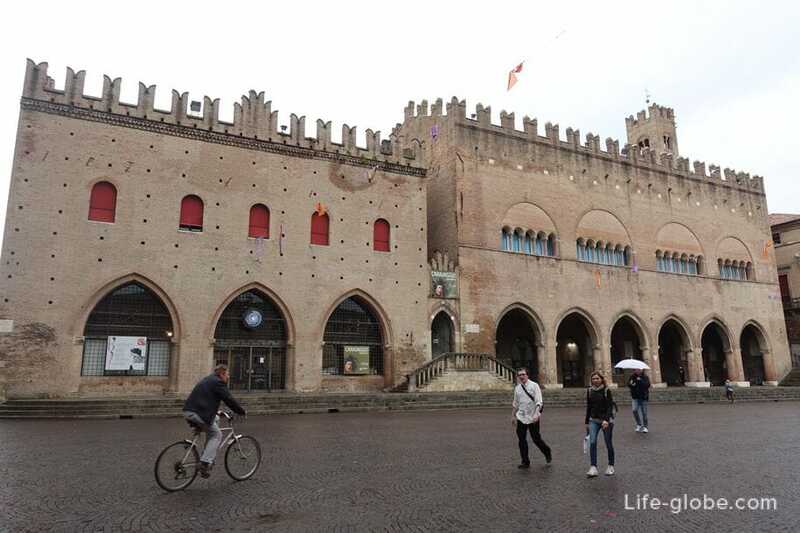 Located Piazza Cavour in the center of Rimini, near the main road - the street Corso d'Augusto, connecting the arch of August from the bridge of Tiberius and conventionally, the cutting of the old town of Rimini into two parts - East and West. 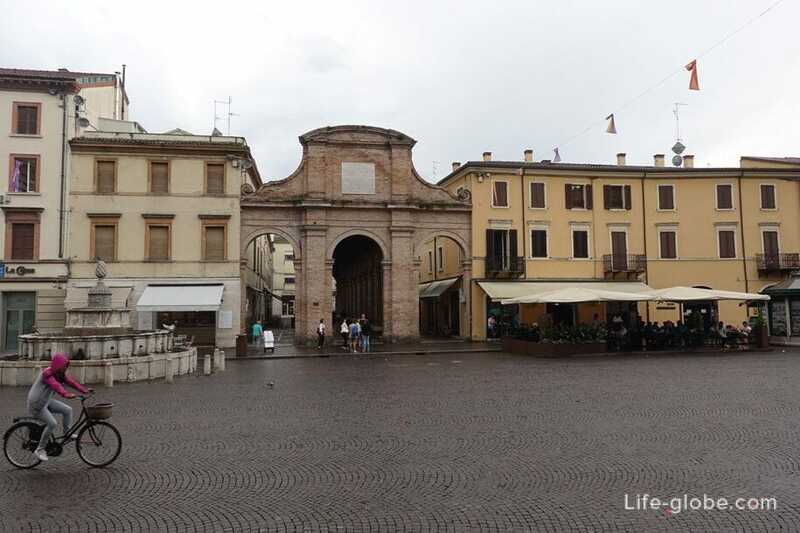 However, the monuments are located in Piazza Cavour, look so harmonious, that at first glance do not even say that their construction and integrity, that we can see today, it took six or seven centuries. - a monument to Pope Paul the fifth. 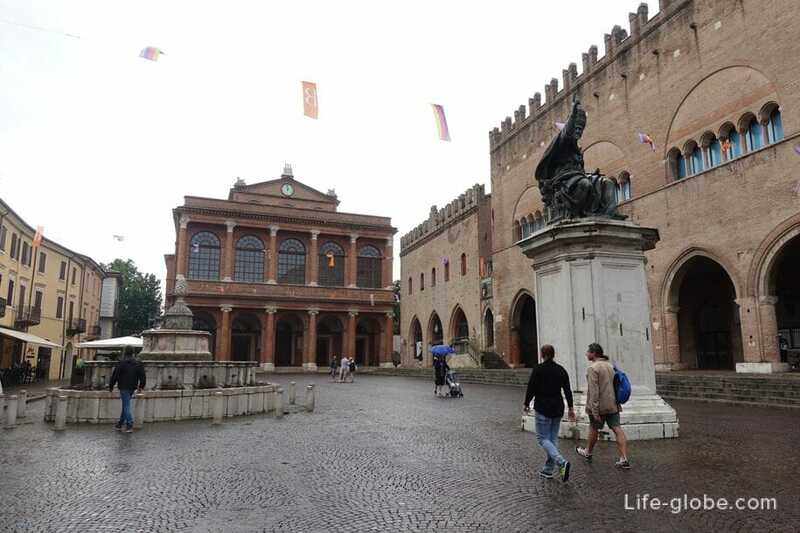 Statue of Paul V was erected by the municipality of Rimini and opened in 1614. The statue itself was cast in 1613 by Sebastiano Sebastiani on the project, Niccol Cordier. - a Lump or Pigna fountain (Fontana della Pigna). 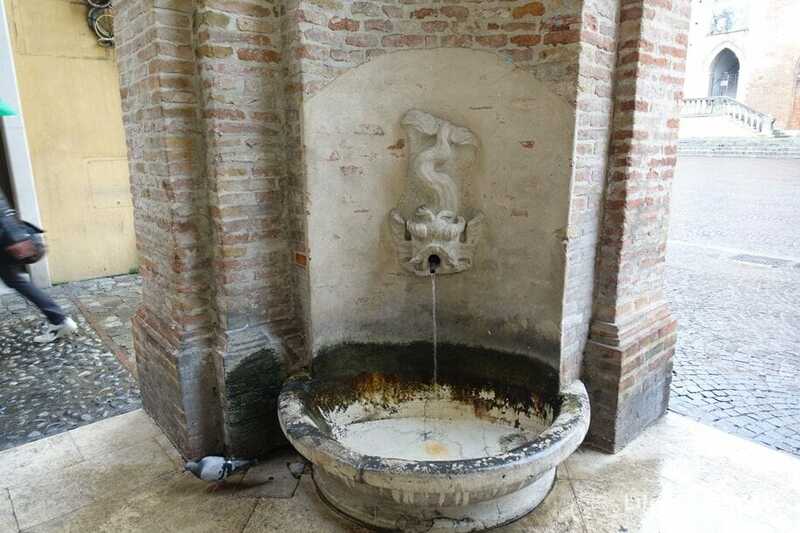 The fountain was built in 1543 Giovanni da Carrara. 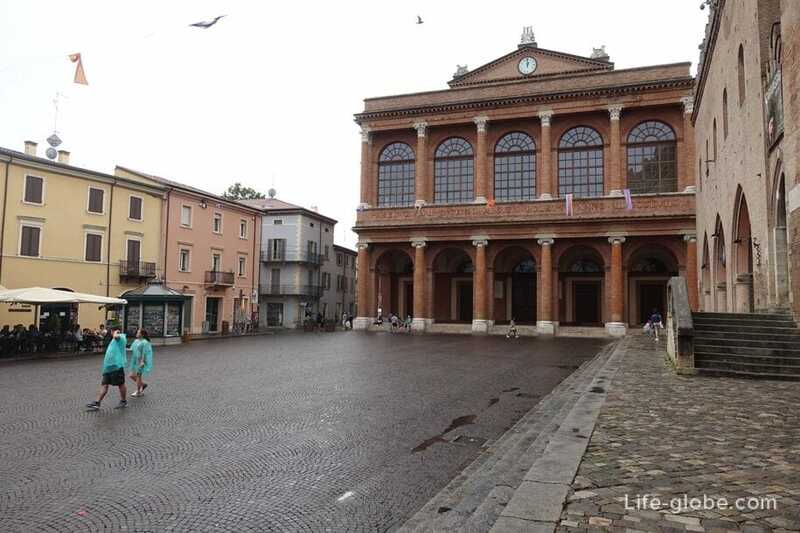 This fountain was the only resource of drinking water of Rimini until 1912. On the Fountain you can see numerous commemorative plaques. In 1545, the fountain was placed a statue of St. Pavla, and in 1809 replaced by Guys (Bump), as a symbol of the independence of the Roman Empire. 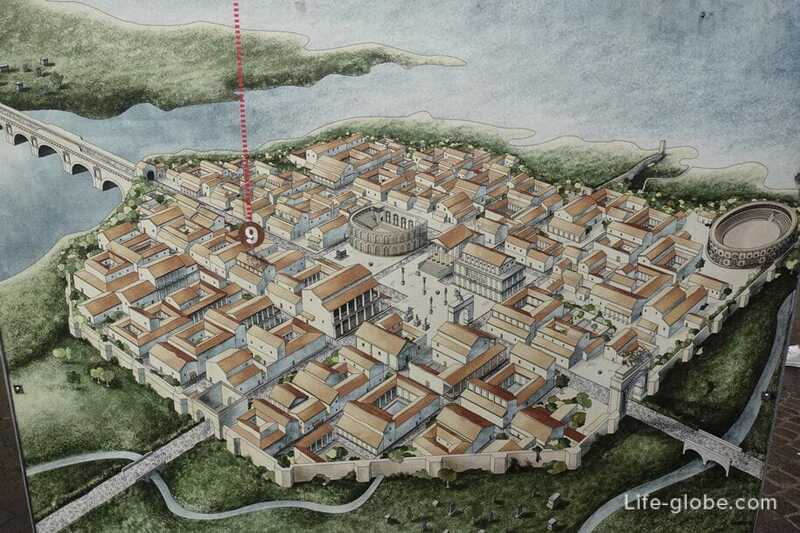 - a separate element catches the eye of the old fish market (La Pescheria), located in front of the palaces. The old fish market is one of the most picturesque and characteristic places in the city. 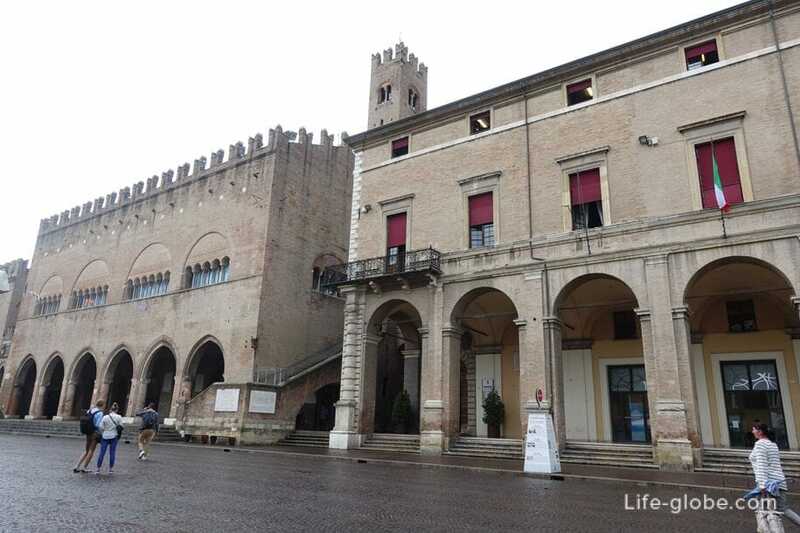 Work of the architect of Rimini Buonamici was built in 1747. 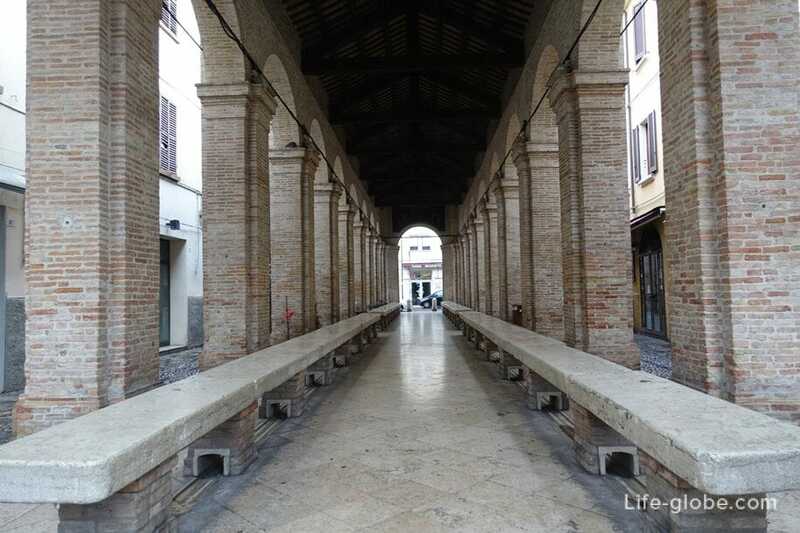 In the corners of the market, there are fountains, where many years ago the merchants used to wash the fish.